The St. Joseph River Basin Commission and the Michiana Area Council of Governments will hold a public meeting on Tuesday, November 15, 2016. The purpose of the meeting is to present data collected and preliminary findings of a study conducted on Cobus Creek watershed. The meeting will also offer an opportunity for all interested persons to comment on the study. The study of Cobus Creek watershed began in winter 2015 focusing on gaining a better understanding of Cobus Creek watershed’s environmental health, identifying water quality issues and potential improvement projects, and suggesting resources in the watershed that may benefit from preservation. Cobus Creek watershed includes portions of Cass County Michigan and Elkhart and St. Joseph County Indiana, as well as Cobus Creek, Garver Lake, and Pleasant Lake. 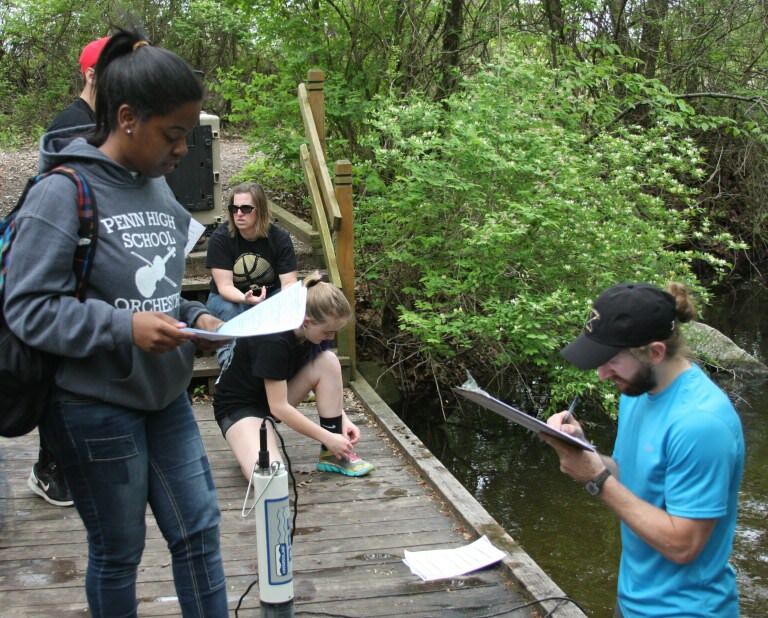 The Cobus Creek Watershed diagnostic study is funded through an Indiana Department of Natural Resources Lake and River Enhancement Program and contributions from several local governmental and nonprofit organizations. The study will consist of gathering habitat, chemical, and biological data which will be used to assess water quality concerns in the watershed. It will be an excellent opportunity to gain a better understanding of the health of Cobus Creek's natural environment, analyze potential water quality improvements, and help identify resources in the watershed that may benefit from preservation. The final study will be complete and made available to the public in early 2017.